"Features three burlap-wrapped drum shades suspended from gracefully arched metal poles." "Can work for contemporary, traditional and rustic homes with its blend of materials and simple shape." "Owners love the minimalist look and low price of this leather table lamp." "Has a linen shade and a gracefully curved glass base." "This lamp draws the highest praise for its numerous features." "Its sleek brushed nickel finish helps it look at home on modern desks." "Turns on and off with a simple tap on its metal base." It doesn’t come cheap, but owners love the Adesso Trinity Arc Lamp, which features three burlap-wrapped drum shades suspended from gracefully arched metal poles. They say the lamp has a high-end look that makes a statement while still managing to mesh with almost every style of décor, and they love the diffused light it provides. The Trinity’s three lights make it more versatile than the average lamp: Users can choose to click on one, two, or all three bulbs. They also like that the arms can swivel 360 degrees, making it easier to aim light where it’s most needed. Though it looks like it could be prone to toppling, most reviewers say the Trinity’s large, heavy base ensures stability. One quibble, though: The light switch is awkwardly placed a couple feet from the ground, which users say makes it hard to reach if the lamp is placed behind furniture. If antique bronze isn’t your thing, the lamp also comes in a satin steel finish. It stands 82 inches tall, and the shades reach 44 inches wide and 43 inches deep. The shades are just over 7.5 inches tall, with three slightly different diameters: 11, 11.5 and 12 inches. It requires three 100-watt incandescent bulbs or 26-watt compact fluorescent bulbs. Interested in reading more reviews? Take a look at our selection of the best floor lamps. A floor lamp's purpose is to give your room ample light but it also needs to make a statement that works with the rest of your decor. This glass column brass floor lamp from Amazon's new Stone & Beam collection can work for contemporary, traditional and rustic homes with its blend of materials and simple shape. 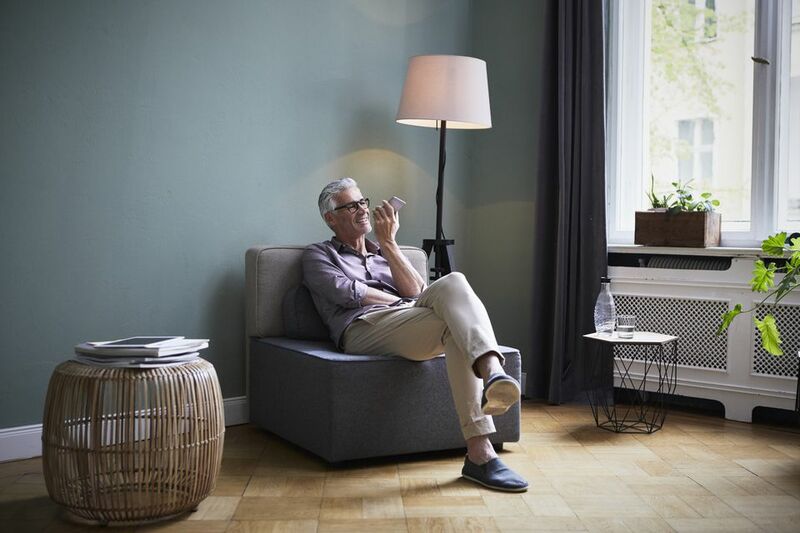 This lamp stands 59" tall so it will work positioned next to a sofa to provide some reading light but it is also tall enough to work alone in a corner. Reviewer's love the quality of lamp you get at this price point but note it doesn't give off a ton of light. Owners love the minimalist look and low price of this leather table lamp. With its squared-off base and shade, the lamp works well in modern or transitional homes, and reviewers say it looks much pricier than it really is. As this is a basic table lamp, there aren’t a lot of extra features, but owners appreciate the simplicity. They also say they like the soft light this lamp provides. Their main complaints: The lamp’s on/off switch is on the power cord instead on the base or near the bulb itself, and the shade is a bit wobbly. 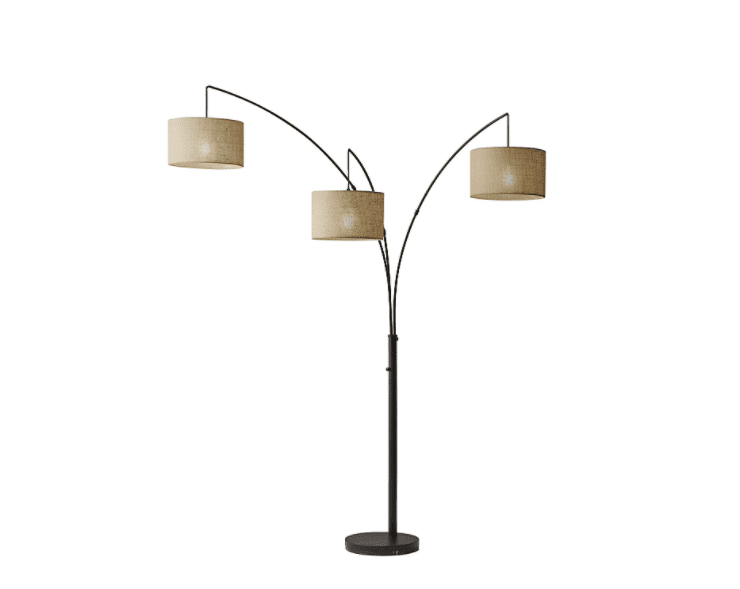 The Elegant Designs lamp is available with a black, green, red, tan, or white leatherette base. It’s 21 inches tall, 10 inches wide, and 6 inches deep. Some reviewers complain the lamp is too small, while others say it’s a great size for tighter spaces, lower-profile tables or even bedside use. The lamp requires one 60-watt Type A bulb. Buyers searching for a more traditional lamp might fall for the Miltiades Table Lamp, which has a linen shade and a gracefully curved glass base available in several colors. Owners love the classic look, saying it meshes with almost any kind of décor, and they say the glass base reflects light beautifully. Reviewers say the Catalina is a good choice for anyone who’s discriminating about the amount of light they want from a lamp. That’s because it supports a three-way bulb, letting users keep the light soft and dim, brighter, or in between. A couple of users say the three-way switch didn’t work for them, however. The Catalina comes with either an amber, blue, gold or silver base. All color choices have beige shades. The lamp is 24 inches tall, 14 inches wide and 14 inches deep. It requires either a 100-watt three-way incandescent bulb or a 25-watt three-way compact fluorescent bulb. If you’re after sleek, versatile task lighting for your desk, owners say it’s hard to beat the TaoTronics Elune TT-DL01 Dimmable LED Desk Lamp. They love the modern style, but this lamp draws the highest praise for its numerous features. The Elune has four lighting modes: reading (a cooler light); study (a stronger white light); relax (both white and yellow light); and sleep (a softer yellow light). There are also five brightness settings and a one-hour sleep timer. Together, the settings make it almost guaranteed you can find the right lighting for any situation, and the rotating arm helps get it where it needs to be. The Elune also has a USB port on the base, which is handy for charging phones, tablets, and other devices. At 18.8 by 7 by 2 inches, the Elune is tall and slender, and it won’t take up much valuable real-estate on desks. It’s available in black and white, and it also folds flat for transport or storage. Instead of requiring light bulbs, the Elune uses non-replaceable LEDs to generate light. They should last about 25 years under normal use. While LED desk lamps like the TaoTronics Elune are decidedly contemporary, some users still prefer a classic look for their home office. That’s what the Boston Harbor Swing Arm Lamp delivers, but its sleek brushed nickel finish helps it look at home on modern desks, too. As its name suggests, the Boston Harbor Swing Arm Lamp has a long arm that can be stretched or bent to direct the light where users need it. Reviewers say it adjusts smoothly and stays put. Plus, there’s a weighted base that prevents the light from toppling. They like the simplicity of the toggle switch, which is conveniently placed on the lampshade, but a few users say the switch broke after limited use. The light measures 19.5 by 16 by 17.5 inches, but it can be stretched to 26 inches tall. It’s also available in black and requires a 60-watt A19 bulb. A touch-sensitive lamp is particularly convenient for bedside tables—there’s no groggy fumbling for the switch. Users say that’s one of the best features of the Aukey Touch Sensor Table Lamp, which turns on and off with a simple tap on its metal base. The Aukey Touch Sensor lamp has three brightness levels, a feature users particularly appreciate in bedrooms where they may want a dim light for a quick trip to the bathroom or a brighter light for reading. It also has a color mode that cycles through a staggering 256 hues. A few reviewers complain that there is a blue LED indicator light that’s too bright even when the rest of the lamp is off, and some say the touch controls are overly sensitive. At just 9 inches tall with a 4-inch diameter, the cylindrical Aukey bedside lamp won’t hog space on nightstands. Instead of bulbs, the lamp uses non-replaceable LEDs that are rated to last 35,000 hours under normal use.